WikiWikiWeb, the world’s first wiki is made public by Ward Cunningham. The history of wikis is generally dated from 1994, when Ward Cunningham gave the name “WikiWikiWeb” to the knowledge base, which ran on his company’s website at c2.com, and the wiki software that powered it. c2.com thus became the first true wiki, or a website with pages and links that can be easily edited via the browser, with a reliable version history for each page. He chose “WikiWikiWeb” as the name based on his memories of the “Wiki Wiki Shuttle” at Honolulu International Airport, and because “wiki” is the Hawaiian word for “quick”. Wiki software has some conceptual origins in the version control and hypertext systems used for documentation and software in the 1980s, and some actualized origins in the 1970s “Journal” feature of NLS. Its distant ancestors include Vannevar Bush’s proposed “memex” system in 1945, the collaborative hypertext database ZOG in 1972, the NoteCards system from Xerox, the Apple hypertext system HyperCard. As was typical of these earlier systems, Cunningham’s motive was technical: to facilitate communication between software developers. Many alternative wiki applications and websites appeared over the next five years. In the meantime, the first wiki, now known as “WardsWiki”, evolved as features were added to the software and as the growing body of users developed a unique “wiki culture”. By 2000, WardsWiki had developed a great deal of content outside its original stated purpose, which led to the spinoff of content into sister sites, most notably MeatballWiki. The website Wikipedia, a free content encyclopedia, was launched in January 2001, and quickly became the most popular wiki, which it remains to this day. Its meteoric rise in popularity played a large part in introducing wikis to the general public. There now exist at least hundreds of thousands of wiki websites, and they have become increasingly prevalent in corporations and other organizations. A distant precursor of the wiki concept was Vannevar Bush’s vision of the “memex,” a microfilm reader which would create automated links between documents. In a 1945 essay in Atlantic Monthly titled “As We May Think,” Bush described an imaginary future user interface: “Before him are the two items to be joined, projected onto adjacent viewing positions… The user taps a single key, and the items are permanently joined… Thereafter, at any time, when one of these items is in view, the other can be instantly recalled merely by tapping a button below the corresponding code space. Moreover, when numerous items have been thus joined together to form a trail, they can be reviewed in turn…” This vision, though it has been described as predicting the World Wide Web, resembles wikis more than the web in one important way: the system being described is self-contained, not a loose network. In 1972 Kristo Ivanov published a PhD dissertation on Quality-control of information, containing a theoretical basis for what corresponds to the wiki-idea, in terms of systemic social interaction. Information turns into knowledge as a net of contributions and negotiations converge about a core concept, or entity. The emphasis is on a dynamically documented “agreement in the context of maximum possible disagreement,” akin to the discussions in talk pages and the results of view history of Wikipedia. An indirect precursor of the wiki concept was the ZOG multi-user database system, developed in 1972 by researchers at Carnegie-Mellon University. The ZOG interface consisted of text-only frames, each containing a title, a description, a line with standard ZOG commands, and a set of selections leading to other frames. Two members of the ZOG team, Donald McCracken and Robert Akscyn, spun off a company from CMU in 1981 and developed an improved version of ZOG called Knowledge Management System. KMS was a collaborative tool based on direct manipulation, permitting users to modify the contents of frames, freely intermixing text, graphics and images, any of which could be linked to other frames. Because the database was distributed and accessible from any workstation on a network, changes became visible immediately to other users, enabling them to work concurrently on shared structures. Three notable hypertext-based systems emerged in the 1980s, that may have been inspired by ZOG, KMS and/or one another: the NoteCards system, developed in 1984 and released by Xerox in 1985; Janet Walker’s Symbolics Document Examiner, created in 1985 for the operation manuals of Symbolics computers; and Bill Atkinson’s WildCard application, on which he began work in 1985, and which was released in 1987 as HyperCard. Ward Cunningham has stated, that the wiki idea was influenced by his experience using HyperCard: he was shown the software by fellow programmer Kent Beck, before its official release, and, in his words, was “blown away” by it. Cunningham used HyperCard to make a stack holding three kinds of information: ideas, people who hold ideas, and projects where people share ideas. He would later use this same architecture for the Patterns, People and Projects listed on the front page of his original wiki, the WikiWikiWeb Cunningham made a single card that would serve for all uses. It had three fields: Name, Description and Links. Cunningham configured the system so that links could be created to cards that didn’t exist yet; creating such a link would in turn create a new blank card. In 1990, Tim Berners-Lee of CERN built the first hypertext client, which he called World Wide Web, and the first hypertext server. In 1991 he posted a short summary of the World Wide Web project on the alt.hypertext newsgroup, marking the debut of the Web as a publicly available service on the Internet. Early adopters of the World Wide Web were primarily university-based scientific departments or physics laboratories. In May 1992 appeared ViolaWWW, a graphical browser providing features such as embedded graphics, scripting, and animation. However, the turning point for the World Wide Web was the introduction of the Mosaic graphical browser in 1993, which gained wide popularity due to its strong support of integrated multimedia. In April 1994, CERN agreed that anyone could use the Web protocol and code for free. Ward Cunningham started developing the WikiWikiWeb in 1994 as a supplement to the Portland Pattern Repository, a website containing documentation about Design Patterns, a particular approach to object-oriented programming. The WikiWikiWeb was intended as a collaborative database, in order to make the exchange of ideas between programmers easier; it was dedicated to “People, Projects and Patterns.” Cunningham wrote the software to run it using the Perl programming language. He considered calling the software “quick-web,” but instead named it using the Hawaiian word “wiki-wiki,” which means “quick-quick” or “very quick,” based on his memory of the Wiki Wiki Shuttle at Honolulu International Airport. The site was immediately popular within the pattern community. Among Cunningham’s innovations in creating WikiWikiWeb was the ability to easily link internally between pages; something that was often cumbersome to do in previous intranet and document management systems. Cunningham’s solution to this was to automatically link any text expressed in CamelCase; including text for which a corresponding page didn’t yet exist. This CamelCase convention was used by most wiki software for the first few years of wikis’ existence. In 2001, the software UseModWiki, which at the time was in use on Wikipedia, switched to allow internal links to be done using standard spelling and double square bracket instead, in order to improve Wikipedia’s usability. This square bracket syntax has since become more of a default convention for internal links within wiki software in general. Ward Cunningham wrote a version of his wiki software meant for public usage, called “Wiki Base”. In his announcement, he wrote: “WikiWikiWeb is almost public. Actually, a pretty good clone of it is public at: http://c2.com/cgi/wikibase. I’ve translated almost all of the actual wiki script into HyperPerl, a wiki-literate programming system that I think you will like.” Visitors were requested to register on the wiki before they took the Wiki Base code. Cunningham expected users to fold changes back into his editable version, but those who implemented changes generally chose to distribute the modified versions on their own sites. Alternate applications for wikis began to emerge, usually imitating the look-and-feel of WikiWikiWeb/Wiki Base; such applications were originally known as “WikiWikiClones.” The first one was most likely created by IBM programmer Patrick Mueller, who wrote his in the REXX language, even before Wiki Base was released. Inspired by the example of the WikiWikiWeb, programmers soon started several other wikis to build knowledge bases about programming topics. Wikis became popular in the free and open-source software community, where they were used for collaboratively discussing and documenting software. However, being used only by specialists, these early software-focused wikis failed to attract widespread public attention. The use of categories was proposed by user Stan Silver on August 27, 1996. His initial post suggested: “If everyone adds a category and topic to their page, then the category and topic pages themselves can be used as automatic indexes into the pages.” Initially Silver had proposed both categories and topics: categories denoted the specific nature of the page’s subject, while topics denoted the theme of the page. However, people ignored this separation, and topics were collapsed into the categories. The “ChangeSummary” option began as an aid to telling which changes added interesting new content, and which were just minor adjustments of spelling, punctuation, or correction of web links. It started when some users began taking the RecentChanges page, annotating each line with a brief description of each change, and posting the result to the ChangeSummary page. This practice was highly time-consuming and rapidly petered out, but was replaced by the “MinorEdit/RecentEdits” feature, designed to reduce the RecentChanges clutter. The World Trade Organization comes into existence. The World Trade Organization is an intergovernmental organization that regulates international trade. The WTO officially commenced on 1 January 1995 under the Marrakesh Agreement, signed by 124 nations on 15 April 1994, replacing the General Agreement on Tariffs and Trade, which commenced in 1948. It is the largest international economic organization in the world. The WTO deals with regulation of trade in goods, services and intellectual property between participating countries by providing a framework for negotiating trade agreements and a dispute resolution process aimed at enforcing participants’ adherence to WTO agreements, which are signed by representatives of member governments:fol.9–10 and ratified by their parliaments. The WTO prohibits discrimination between trading partners, but provides exceptions for environmental protection, national security, and other important goals. Trade-related disputes are resolved by independent judges at the WTO through a dispute resolution process. The WTO’s current Director-General is Roberto Azevêdo, who leads a staff of over 600 people in Geneva, Switzerland. A trade facilitation agreement, part of the Bali Package of decisions, was agreed by all members on 7 December 2013, the first comprehensive agreement in the organization’s history. On 23 January 2017, the amendment to the WTO Trade Related Aspects of Intellectual Property Rights Agreement marks the first time since the organization opened in 1995 that WTO accords have been amended, and this change should secure for developing countries a legal pathway to access affordable remedies under WTO rules. The WTO’s predecessor, the General Agreement on Tariffs and Trade, was established by a multilateral treaty of 23 countries in 1947 after World War II in the wake of other new multilateral institutions dedicated to international economic cooperation – such as the World Bank and the International Monetary Fund. A comparable international institution for trade, named the International Trade Organization never started as the U.S. and other signatories did not ratify the establishment treaty, and so GATT slowly became a de facto international organization. Seven rounds of negotiations occurred under GATT. The first real GATT trade rounds concentrated on further reducing tariffs. Then the Kennedy Round in the mid-sixties brought about a GATT anti-dumping Agreement and a section on development. The Tokyo Round during the seventies represented the first major attempt to tackle trade barriers that do not take the form of tariffs, and to improve the system, adopting a series of agreements on non-tariff barriers, which in some cases interpreted existing GATT rules, and in others broke entirely new ground. Because not all GATT members accepted these plurilateral agreements, they were often informally called “codes”. Several of these codes were amended in the Uruguay Round and turned into multilateral commitments accepted by all WTO members. Only four remained plurilateral, but in 1997 WTO members agreed to terminate the bovine meat and dairy agreements, leaving only two. Despite attempts in the mid-1950s and 1960s to establish some form of institutional mechanism for international trade, the GATT continued to operate for almost half a century as a semi-institutionalized multilateral treaty regime on a provisional basis. American Airlines Flight 965 crashes north of Cali, Colombia killing 159. American Airlines Flight 965 was a regularly scheduled flight from Miami International Airport in Miami, Florida, to Alfonso Bonilla Aragón International Airport in Cali, Colombia. On December 20, 1995, the Boeing 757-200 flying this route crashed into a mountain in Buga, Colombia, killing 151 out of the 155 passengers and all eight crew members. Flight 965 was the deadliest air disaster involving a U.S. carrier since the bombing of Pan Am Flight 103 in 1988. Five passengers, all seated within two rows of each other, survived the initial impact, but one died two days later of his injuries. In addition to the four human survivors, a dog who had been in a carrier in the cargo hold at the time of the crash, also survived the incident. The cockpit crew consisted of Captain Nicholas Tafuri, age 57, and First Officer Donald Williams, age 39. Both pilots were considered to be highly skilled airmen. Captain Tafuri had more than 13,000 hours of flying experience and First Officer Williams had almost 6,000 hours. The cabin crew consisted of Purser Pedro Pablo Calle and Flight Attendants Magdalena Borrero, Rosa Cabrejo, Teresa Delgado, Gilberto Restrepo, and Margaret “Maggie” Villalobos. All cabin crew personnel were born in Colombia and were veterans from Braniff International Airways who had moved to Eastern Air Lines and then to American Airlines, when the routes were transferred from one airline to the other. They had voluntarily chosen the flight, as a prerogative awarded by seniority, to spend Christmas time with their families in Bogotá. Cali’s air traffic controllers had no functional radar to monitor the 757, as it had been blown up in 1992 by the terror group FARC. Cali’s approach uses several radio beacons to guide pilots around the mountains and canyons that surround the city. The airplane’s flight management system already had these beacons programmed in, and should have, in theory, told the pilots exactly where to turn, climb, and descend, all the way from Miami to the terminal in Cali. Since the wind was calm, Cali’s controllers asked the pilots whether they wanted to fly a straight-in approach to runway 19 rather than coming around to runway 01. The pilots agreed, hoping to make up some time. The pilots then erroneously cleared the approach waypoints from their navigation computer. When the controller asked the pilots to check back in over Tuluá, north of Cali, it was no longer programmed into the computer, and so they had to pull out their maps to find it. In the meantime, they extended the aircraft’s speed brakes to slow it down and expedite its descent. By the time the pilots found Tuluá’s coordinates, they had already passed over it. In response to this, they attempted to program the navigation computer for the next approach waypoint, Rozo. However, the Rozo NDB was identified as R on their charts. Colombia had duplicated the identifier for the Romeo NDB near Bogotá, and the computer’s list of stored waypoints did not include the Rozo NDB as “R”, but only under its full name “ROZO”. In cases where a country allowed duplicate identifiers, it often listed them with the largest city first. By picking the first “R” from the list, the captain caused the autopilot to start flying a course to Bogotá, resulting in the airplane turning east in a wide semicircle. By the time the error was detected, the aircraft was in a valley running roughly north-south parallel to the one they should have been in. The pilots had put the aircraft on a collision course with a 3,000-meter mountain. The air traffic controller, Nelson Rivera Ramírez, believed that some of the requests of the pilots did not make sense, but did not know enough non-aviation English to convey this. Twelve seconds before the plane hit the mountain, named El Diluvio, the Ground Proximity Warning System activated, announcing an imminent terrain collision and sounding an alarm. Within a second of this warning the first officer disengaged the autopilot, and the captain attempted to climb clear of the mountain; however, neither pilot had remembered to disengage the previously deployed speed brakes, which reduced the rate of climb. At 9:41:28 pm Eastern Standard Time it struck trees at about 8,900 feet MSL on the east side of the mountain. The crash was six miles south of Tuluá VOR and 28 miles north of the approach end of runway 19 at Alfonso Bonilla Aragon International Airport. During the investigations, it was found that neither the Boeing fixed-base simulator nor the flight management system simulator could be backdriven with the data obtained directly from the accident airplane’s flight data recorder. Because the 757 flight simulators could not be backdriven during the tests, it could not be determined with precision whether the airplane would have missed the mountain/tree tops if the speedbrakes had been retracted during the escape attempt. However, the final report stated that if the flightcrew had retracted the speedbrakes one second after initiating the escape maneuver, the airplane could have been climbing through a position that was 150 feet above the initial impact point. Because the airplane would have continued to climb and had the potential to increase its rate of climb, it might well have cleared the trees at the top of the mountain. In 1997 U.S. District Judge Stanley Marcus ruled that the pilots had committed “willful misconduct”; the ruling applied to American Airlines, which represented the dead pilots. The judge’s ruling was subsequently reversed in June 1999 by the U.S. Court of Appeals in Atlanta, which also overturned the jury verdict and declared that the judge in the case was wrong in issuing a finding of fault with the pilots, a role which should have been reserved for the jury only. American Airlines settled numerous lawsuits brought against it by the families of the victims of the accident. American Airlines filed a “third-party complaint” lawsuit for contribution against Jeppesen and Honeywell, which made the navigation computer database and failed to include the coordinates of Rozo under the identifier “R”; the case went to trial in United States District Court for the Southern District of Florida in Miami. At the trial, American Airlines admitted that it bore some legal responsibility for the accident. Honeywell and Jeppesen each contended that they had no legal responsibility for the accident. In June 2000, the jury found that Jeppesen was 30 percent at fault for the crash, Honeywell was 10 percent at fault, and American Airlines was 60 percent at fault. Since 2002, all planes with more than six passengers are required to have an advanced terrain awareness warning system. Toy Story is released as the first feature-length film created completely using computer-generated imagery. Toy Story was released in theaters on November 22, 1995, and was the highest-grossing film on its opening weekend, eventually earning over $373 million at the worldwide box office. It was positively reviewed by critics and audiences, who praised the animation’s technical innovation, the wit and thematic sophistication of the screenplay, and the performances of Hanks and Allen; it is considered by many to be one of the best animated films ever made. The film received three Academy Award nominations, including Best Original Screenplay, Best Original Score, and Best Original Song for “You’ve Got a Friend in Me”, as well as winning a Special Achievement Academy Award. In 2005, it was inducted into the National Film Registry as being “culturally, historically, or aesthetically significant” in its first year of eligibility. 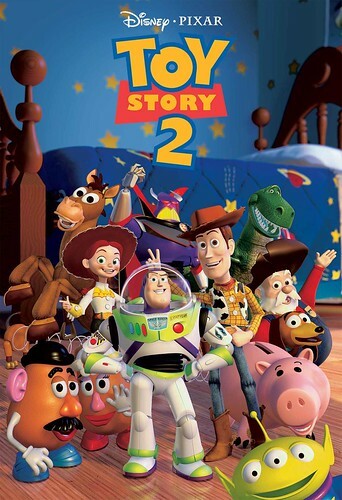 In addition to home media and theatrical re-releases, Toy Story-inspired material includes toys, video games, theme park attractions, spin-offs, merchandise, and two sequels — Toy Story 2 and Toy Story 3 — both of which also garnered massive commercial success and critical acclaim, with a fourth film titled Toy Story 4 scheduled for release in 2019. The movie depicts a world where toys are living things but pretend to be lifeless when humans are present. A group of toys, owned by six-year-old Andy Davis, are caught off-guard when Andy’s birthday party is moved up a week, as his family is preparing to move the following week. A pull-string cowboy doll named Sheriff Woody – the toys’ leader and Andy’s favorite toy – organizes a scouting mission, with the help of Bo Peep the shepherdess, Mr. Potato Head, Rex the Dinosaur, Hamm the Piggy Bank and Slinky Dog. Green Army Men, led by Sarge, spy on the party, and report the results to the others via baby monitors. The toys are relieved when the party appears to end with none of them being replaced by new toys, but then Andy receives a gift – a Buzz Lightyear action figure, who thinks he is a real space ranger. Buzz impresses the other toys with his various features, and Andy begins to favor him, making Woody feel abandoned. As Andy prepares for a family outing at Pizza Planet, his mother allows him to bring one toy. Fearing Andy will choose Buzz, Woody attempts to trap Buzz behind a desk, but ends up accidentally knocking him out of a window. The other toys rebel against Woody, believing he did harm to Buzz out of jealousy. Before they can exact revenge, Andy takes Woody and leaves for Pizza Planet. When the family stops for gas, Woody finds that Buzz has hitched a ride on the car as well. They have a fight, only to find the family has left without them. They manage to make their way to the restaurant by stowing away on a pizza delivery truck. Buzz, still thinking he is a real space ranger, despite Woody’s attempts to convince him otherwise, gets them stuck in a crane game, where they are salvaged by Andy’s mischievous neighbor, Sid Phillips. Woody attempts to escape from Sid’s house, but Buzz, finally realizing he is a toy after watching a Buzz Lightyear TV ad, sinks into despondency. Sid plans to launch Buzz on a fireworks rocket, but his plans are delayed by a thunderstorm. Woody tells Buzz about the joy he can bring to Andy as a toy, restoring his confidence. The next day, Woody and Sid’s mutant creature toys rescue Buzz just as Sid is about to launch the rocket and scare Sid into no longer abusing toys, and he runs into his house screaming in horror. Woody and Buzz leave just as Andy and his family drive away toward their new home. The duo tries to make it to the moving truck, but Sid’s dog, Scud, sees them and gives chase. Buzz gets left behind while saving Woody from Scud, and Woody tries rescuing him with Andy’s radio-controlled car. Thinking that Woody is trying to eliminate RC as well, the other toys attack and toss him off the truck. Having evaded Scud, Buzz and RC retrieve Woody and continue to chase the truck. Upon seeing Woody and Buzz together on RC, the other toys realize their mistake and try to help them get back aboard, but RC’s batteries become depleted, stranding them. Woody ignites the rocket on Buzz’s back and manages to throw RC into the truck before they soar into the air. Buzz opens his wings to free himself from the rocket before it explodes, gliding with Woody to land safely into a box in the car, right next to Andy. On Christmas Day, at their new house, Woody and Buzz stage another reconnaissance mission to prepare for the new toy arrivals. One of the toys is Mrs. Potato Head, much to Mr. Potato Head’s delight. As Woody jokingly asks what might be worse than Buzz, they discover Andy’s new gift is a puppy, and the two share a worried smile. The cosmonaut, Valeri Polyakov, returns to earth after setting a record of 438 days in space. Valeri Vladimirovich Polyakov was born on April 27, 1942 in Tula, USSR. His original name was Valeri Ivanovich Korshunov; but he changed it after being adopted by his step-father in 1957. He graduated from Tula Secondary School No. 4 in 1959 then entered the I M Sechenov First Moscow Medical Institute, earning a doctorate degree. He later specialised in astronautics medicine at the Institute of Medical and Biological Problems, Ministry of Public Health, Moscow. In 1964, after the first physician entered space, Polyakov decided to specialize in space medicine. On March 22, 1972, Dr. Valeri Polyakov was selected to join the Russian cosmonaut team and to train as a physician who could render any kind of assistance in orbit, including surgical assistance. He underwent spaceflight training as well as taking part in medical support work for the crews of Soyuz spacecraft and the Salyut space station. His first spaceflight was as a research-cosmonaut onboard Soyuz TM-6, launched on August 29, 1988. The Soyuz linked up with the Mir space station where Polyakov spent 240 days in space, studying the effects of microgravity on humans, before returning to Earth on April 29, 1989. Later that year Polyakov became head of the IBMP project to refine the strategy of the executive medical support of Mir missions, serving as the Medical Deputy of the Flight Director. On January 8, 1994, as a doctor-cosmonaut on the Soyuz TM -18 flight, he returned to Mir. Polyakov spent the next 437.7 consecutive days in space, a world record that still stands. He orbited the earth 7,075 times and traveled 186,887,000 miles before landing safely on March 22, 1995. During his stay on the Mir, Polyakov conducted medical, physiological and sanitary-hygienic researches, some of which were components of international space medicine projects. Dr. Polyakov left the Russian space service on June 1, 1995 after accumulating a then record 678.69 days in space. As of 2007, he held the third longest total time in space, bested only by cosmonauts Sergei Krikalev and Sergei Avdeyev. Valeri Polyakov is currently the Deputy Director of the Ministry of Public Health in Moscow, overseeing programs of medical care during long-term space flights. Dr. Polyakov is also active in fostering international cooperation, and contributes to the medical safety of international space programs. He was a cosmonaut-investigator on the Austrian, German, French, and the U.S. space science missions to Mir. Valeri Polyakov is a member of the International Space Researchers’ Association, the International Academy of Astronauts, and the Russian Chief Medical Commission on cosmonauts’ certification. He holds the title of “Pilot-Cosmonaut of the USSR,” and has earned the Gold Medals of the Hero of the USSR and the Russian Federation, Order of Lenin, Order of the Legion of Honor, and the Highest Kazakhstan Award, Parasat. He has more than 50 publications dealing with the space life sciences, medical support to space missions, and the results of research and experiments conducted during long-term space flights. The city of Bethlehem passes from Israeli to Palestinian control. Bethlehem is a small city located some 10 km south of the Old City of Jerusalem within the West Bank, in an “Area A” zone administered by the Palestinian Authority. The “little town” of Bethlehem, mentioned in any number of Christmas carols, attracts pilgrims worldwide on account of its description in the New Testament as the birthplace of Jesus, whom Christians believe to be Messiah and Son of God. The Church of the Nativity, one of the oldest churches in the world, is the focus of Christian veneration within the city. Bethlehem is revered by Jews as the birthplace and home town of David, King of Israel, as well as the traditional site of Rachel’s Tomb. Although also home to many Muslims, Bethlehem remains home to one of the largest Arab Christian communities in the Middle Eastand one of the chief cultural and tourism drawcards for the community. The Bethlehem agglomeration also includes the small towns of Beit Jala and Beit Sahour, the latter also having biblical significance. Building up to the Millennium in the year 2000, Bethlehem underwent a massive largely foreign-funded project called Bethlehem 2000 in hopes of turning Bethlehem into a major tourist destination comparable to destinations such as Jerusalem or Tel Aviv in tourism infrastructure. Unfortunately a year later, the Palestinian uprising against the Israeli occurred and the ensuing violence scuttled these tourism efforts. With the Palestinian uprising and violent clashes between both sides now have been over and done with for quite a few years, violence is now a thing of the past and many in Bethlehem hope to continue on where Bethlehem 2000 started them off. NATO starts peacekeeping in Bosnia. SARAJEVO – NATO forces formally began their year-long peacekeeping mission in Bosnia on Wednesday, taking over from the United Nations at a ceremony at Sarajevo’s airport. U.S. Admiral Leighton Smith, commander of the NATO operation, was unable to attend the ceremony due to poor weather conditions. The official signing ceremony marking the transfer of military authority which was to occur during the morning ceremony was rescheduled for approximately 3 p.m. local time so that Smith can attend. The formal hand-over was announced by U.N. Commander General Bertrand Janvier and Lieutenant-General Sir Michael Walker, head of NATO ground forces in Bosnia. The ceremony clears a path for the deployment of 60,000 NATO troops who will begin setting up their military operations for the mission to enforce the Dayton Accord. NATO forces have been preparing for the hand-over for the last two weeks. The familiar white United Nations vehicles have been painted military green, and in Tuzla Wednesday a sign identifying the U.N. airbase was removed to be replaced by a sign for the U.N. Implementation Force. The transfer marks the end of the U.N.’s ill-fated three-and-a-half year peacekeeping mission and the start of the largest NATO operation in alliance history. The Galileo spacecraft arrives at Jupiter six years after it was launched. Galileo was an American unmanned spacecraft that studied the planet Jupiter and its moons, as well as several other Solar System bodies. Named after the astronomer Galileo Galilei, it consisted of an orbiter and entry probe. It was launched on October 18, 1989, carried by Space Shuttle Atlantis, on the STS-34 mission. Galileo arrived at Jupiter on December 7, 1995, after gravitational assist flybys of Venus and Earth, and became the first spacecraft to orbit Jupiter. It launched the first probe into Jupiter, directly measuring its atmosphere. Despite suffering major antenna problems, Galileo achieved the first asteroid flyby, of 951 Gaspra, and discovered the first asteroid moon, Dactyl, around 243 Ida. In 1994, Galileo observed Comet Shoemaker–Levy 9’s collision with Jupiter. Jupiter’s atmospheric composition and ammonia clouds were recorded, the clouds possibly created by outflows from the lower depths of the atmosphere. Io’s volcanism and plasma interactions with Jupiter’s atmosphere were also recorded. The data Galileo collected supported the theory of a liquid ocean under the icy surface of Europa, and there were indications of similar liquid-saltwater layers under the surfaces of Ganymede and Callisto. Ganymede was shown to possess a magnetic field and the spacecraft found new evidence for exospheres around Europa, Ganymede, and Callisto. Galileo also discovered that Jupiter’s faint ring system consists of dust from impacts on the four small inner moons. The extent and structure of Jupiter’s magnetosphere was also mapped. On September 21, 2003, after 14 years in space and 8 years in the Jovian system, Galileo’s mission was terminated by sending it into Jupiter’s atmosphere at a speed of over 48 kilometers per second, eliminating the possibility of contaminating local moons with terrestrial bacteria. Toy Story is released as the full length film created completely using computer generated imagery. On this day in tech history, “Toy Story” was released in theaters, becoming the first entirely computer-animated feature-length film. It was the first film produced by Pixar with Steve Jobs serving as an executive producer. Jobs bought the Computer Graphics Division of Lucasfilms in 1986 and made it an independent company called Pixar. That year it released “Luxo Jr.”, the first 3D computer-animated film to be nominated for the Best Animated Short Film Oscar. It featured the desk lamp often seen in the Pixar logo. Pixar produced short animated films to promote their computers and software. In 1989 it released the first commercial version of RenderMan, a software for rendering computer graphics in film. Pixar began working with Disney in 1991 to create a “computer-generated animated movie.” That movie was “Toy Story” and it became the highest grossing film of 1995, making $192 million in the US, and $362 million worldwide. The sequel was released four years later and was the first film to be entirely created, mastered, and exhibited digitally. “Toy Story 2” made more money than the original, and 2010’s “Toy Story 3” was the first animated film to make over $1 billion worldwide. In 1996 Pixar director John Lasseter received a Special Achievement Oscar from the Academy of Motion Picture Arts and Sciences for his “inspired leadership of the Pixar Toy Story Team resulting in the first feature-length computer animated film.” Pixar’s Ed Catmull, Alvy Ray Smith, Thomas Porter, and Tom Duff also received the Sciences Scientific and Engineering Academy Award for their pioneering inventions in digital image compositioning. Pixar was bought by The Walt Disney Company in 2006, and it has now released 19 feature films, many nominated for Academy Awards. On 23 May 1995, John Gage, the director of the Science Office of the Sun Microsystems along with Marc Andreesen, co-founder and executive vice president at Netscape announced to an audience of SunWorldTM that Java technology wasn’t a myth and that it was going to be incorporated into Netscape Navigator. At the time the total number of people working on Java was less than 30. This team would shape the future in the next decade and no one had any idea as to what was in store. From running an unmanned vehicle on Mars to serving as the operating environment of most consumer electronics, e.g. cable set-top boxes, VCRs, toasters and PDAs, Java has come a long way from its inception. Let’s see how it all began. In December of 1990, a project was initiated behind closed doors with the aim to create a programming tool that could render obsolete the C and C++ programming languages. Engineer Patrick Naughton had become extremely frustrated with the state of Sun’s C++ and C APIs (Application Programming Interfaces) and tools. While he was considering to move towards NeXT, he was offered a chance to work on new technology and the Stealth Project was started, a secret nobody but he knew. Staffed at 13 people, they began work in a small office on Sand Hill Road in Menlo Park, California. This team came to be called the Green Team henceforth in time. The project they underwent was chartered by Sun Microsystems to anticipate and plan for the “next wave” in computing. For the team, this meant at least one significant trend, that of the convergence of digitally controlled consumer devices and computers.